After struggling to find a solid footing in China, foreign banks operating in the country may be finally hitting their stride, as the seventh PwC Foreign Banks in China survey report reveals. China's 181 foreign banks more than doubled profits to RMB 16.73 billion in 2011 from RMB 7.78 billion in 2010. This significant growth was achieved as a result of strong demand for corporate credit from multinationals expanding within China and an increasing number of state and private-owned enterprises customers. RMB internationalisation with strong demand in derivative trading with financial institutions and corporate clients also helped drive results. Meanwhile, total assets grew 24% to RMB 2.15 trillion over this same period. Despite China's subdued economic outlook, foreign banks are nonetheless predicting annual revenue growth of 20% or more until 2015. "China's foreign banks have performed strongly despite barriers such as lending caps and the relatively slow pace of new branch approvals. Not only are their profits and total assets on the rise, they hold a significant market share in major markets such as Shanghai (12% in 2011). While all this is well and good, there shouldn't be any room for complacency," says Mervyn Jacob, PwC Financial Services Leader for China and Hong Kong. "China is shifting away from a production-export market to a domestic-consumption driven economy. This means new opportunities for foreign banks to diversify into emerging market sectors such as IT and clean energy as they mature. They will also be able to leverage their global expertise as more Chinese firms seek to expand offshore. Capitalising on this will require a different and more focused approach to their China strategy," adds Mr Jacob. The foreign banks have set their sights on four target growth areas, namely financial institutions, multinational corporations, state-owned enterprises and private-owned enterprises.The exponential growth in the number of high net worth individuals in China is also leading some foreign banks to renew and develop their retail and wealth management businesses. The continuing internationalisation of the renminbi and interest rate reform will create currency exchange and arbitrage with treasury management opportunities among Chinese export / import companies. As in past years, the strict regulatory environment continues to be a major concern to the 41 foreign banks surveyed. On the respondents' wish list of key regulatory restrictions that they would like to see relaxed – bond underwriting, access to the derivatives market and wealth management market, a higher quota of offshore funding, CNAPS membership and equal treatment on QDII. On a surprising note, the participants surveyed consider the China Banking Regulatory Commission (CBRC) a more supportive regulator than even their own home regulators. "The fundamental challenge for the foreign banks over the next three years will be balancing the investment and needs of a dynamic and fast-developing Chinese market against the constraints of a slowing economy back home. In the long run, foreign banks in China will be in a better position if they continue to view and engage with regulators like any key client relationship," says William Yung, PwC China Financial Services Advisory Partner. Like most industries, talent remains a major challenge for foreign banks. So much so, more than half of the survey respondents believe talent shortage would have a 'significant' or 'very significant' impact on their top line growth. Despite this, many foreign banks are on an aggressive recruitment drive, aiming to increase the industry's headcount by 56% to 55,000 by 2015. Foreign banks are also supportive of Shanghai's plan to become an international financial centre (IFC) by 2020 and believe they can play a major role in making it happen. However, they say in order for Shanghai to really claim to be an IFC, the liberalisation of interest rates and renminbi is critical. China has seen some dismal economic data lately, but far from being discouraged, the foreign banks surveyed say they remain committed to China, more so now than ever. 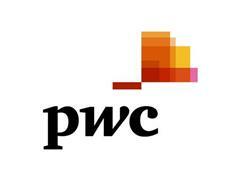 PwC China, Hong Kong, Singapore and Taiwan work together on a collaborative basis, subject to local applicable laws. Collectively, we have about 620 partners and staff strength of 14,000 people. Providing organisations with the advice they need, wherever they may be located, our highly qualified, experienced professionals listen to different points of view to help organisations solve their business issues and identify and maximise the opportunities they seek. Our industry specialisation allows us to help co-create solutions with our clients for their sector of interest.We are located in these cities: Beijing, Hong Kong, Shanghai, Singapore, Taipei, Chongqing, Chungli, Dalian, Guangzhou, Hangzhou, Hsinchu, Kaohsiung, Macau, Nanjing, Ningbo, Qingdao, Shenzhen, Suzhou, Taichung, Tainan, Tianjin, Xiamen and Xi'an.